To control/monitor HMI from an operator workstation (including displaying information on a large screen); To control/maintain HMI from an engineering workstation; To control SCADA from an operator workstation; To provide SCADA maintenance from an engineering workstation or a computer of a contractor/vendor (from an external network); To connect multiple operators to one operator workstation (thin client-like architecture used to save money on licenses for the software used on operator workstations); To connect to a computer on the office network from the OT network via HMI and perform various tasks on that computer (access email, access the internet, work with office documents, etc.). Deliberate installation of RATs by personnel or suppliers – network administrators, engineers, operators, or integrator companies. We do not undertake to judge whether these installations are legitimate. Based on our experience of industrial network audits and incident investigation, we can state that many such installations do not comply with the organization’s information security policy and some are installed without the knowledge of respective enterprises’ responsible employees. Stealthy installation of RATs by malware. An example of this is a recent attack that we have investigated (see below). Elevated privileges – the server part of a RAT is often executed as a service with system privileges, i.e., NT SYSTEM; No support for restricting local access to the system / client activity; Single-factor authentication; No logging of client activity; Vulnerabilities (our report on zero-day vulnerabilities identified in popular RAT systems that are used, among other applications, in products by many ICS vendors, will be published by the end of the year); The use of relay servers (for reverse connections) that enable RATs to bypass NAT and firewall restrictions on the network perimeter. 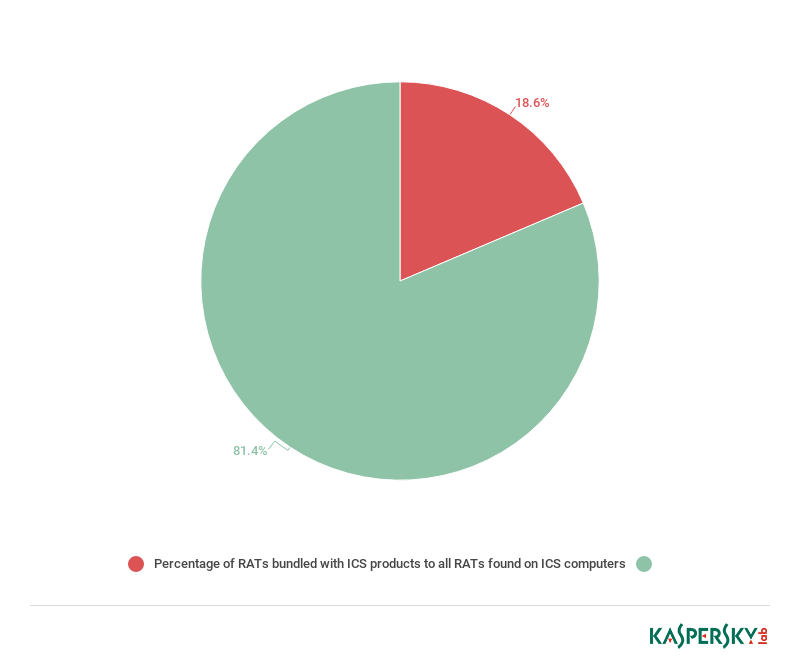 RAT components and distribution packages are rarely updated (even if new versions of ICS distribution packages are released). 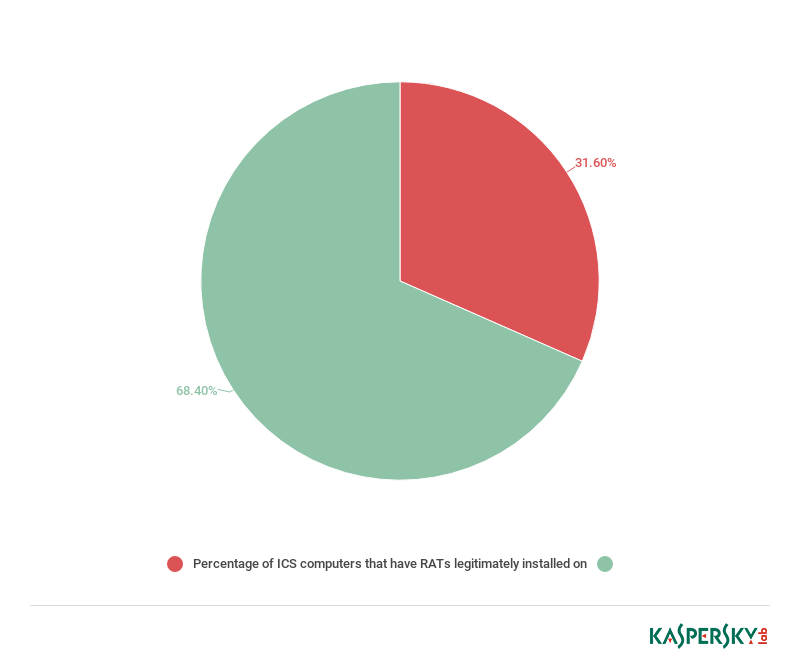 This makes them more likely to contain vulnerabilities; In the vast majority of cases, the default password is used – it is either hardcoded into the RAT by the ICS software vendor or specified in the documentation as “recommended”. A brute force network attack from the local network or the internet designed to crack logins/passwords; An attacker or malware using a RAT to download and execute malware using stolen or cracked authentication credentials; A remote user (probably a legitimate user deceived by attackers) using a RAT to download a Trojan to an ICS computer and then executing it; the Trojan can be disguised as an office document, non-industrial software (a game, multimedia software, etc. ), a crack/keygen for office, application or industrial software, etc. ; A network attack from the local network or the internet on the server part of the RAT using exploits. Audit the use of application and system remote administration tools on the industrial network, such as VNC, RDP, TeamViewer, and RMS / Remote Utilities. Remove all remote administration tools that are not required by the industrial process. Conduct an audit and disable remote administration tools which came with ICS software (refer to the relevant software documentation for detailed instructions), provided that they are not required by the industrial process. Closely monitor and log events for each remote control session required by the industrial process; remote access should be disabled by default and enabled only upon request and only for limited periods of time.